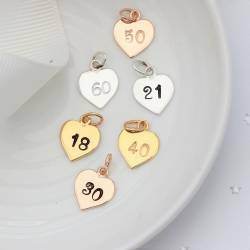 They are an ideal gift for a family celebration such as the birth of a baby girl, or your daughters coming of age birthday. Or a wonderful Christmas present for the two most important girls in your life. 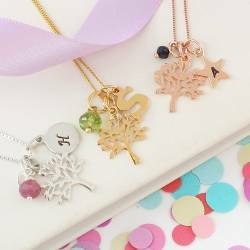 The tree of life is a mystical and magical tree symbolising a fresh start on life, postive energy, good heath and a bright future. The roots are the past, the present symbolised by the body of the tree and the future is the fruits of the tree. They represent how the forces of nature come together to create harmony and balance. 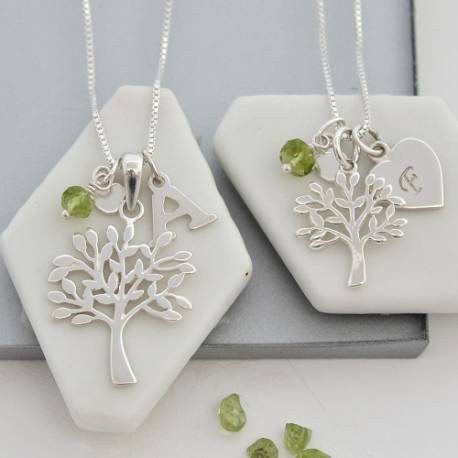 Your tree of life necklaces will come with an initial charm and a birthstone on each necklace. Once we’ve created the perfect personalised charm necklaces for you, we’ll carefully package it in one of our beautiful black gift box for adults and amethyst for childs with a birthstone gift card. We’ll then finish it with a flourish of ivory ribbon ready for you to give to the lucky ladies. 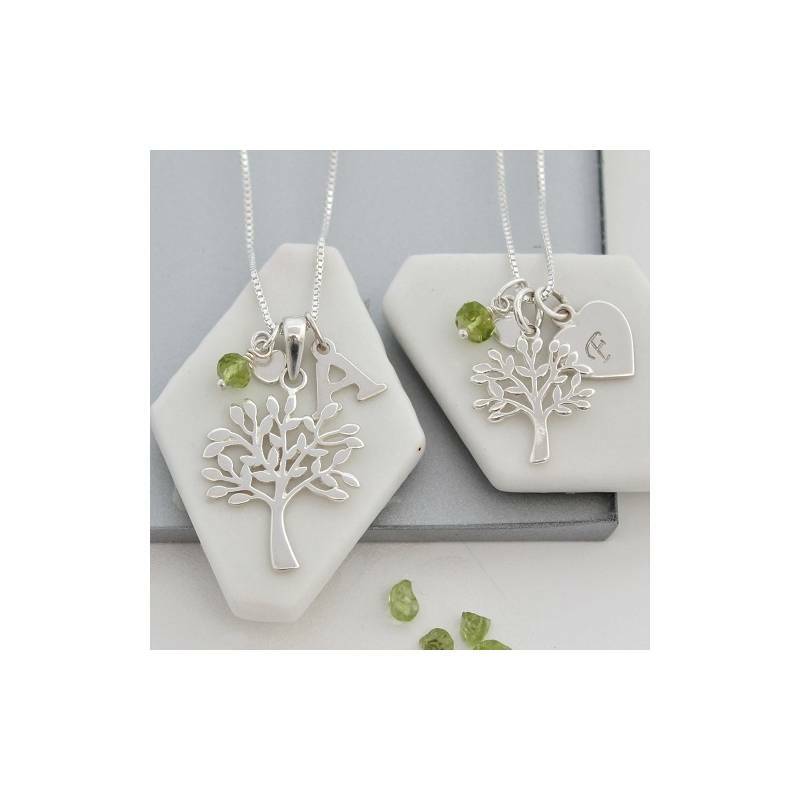 The childs silver tree measures 1.8cm x 1.5cm and hangs approx 2.2cm from the chain,the adults silver tree of life measures 2.5cm by 1.7cm and hangs approx 3.1cm from the chain. The sterling silver box chain is available in 4 lengths approx 14"/35cm (childs) 16"/40cm,18"/45cm and 20"/50cm.